A moving reflection on a subject that touches us all, by the best-selling author of Claire of the Sea Light. 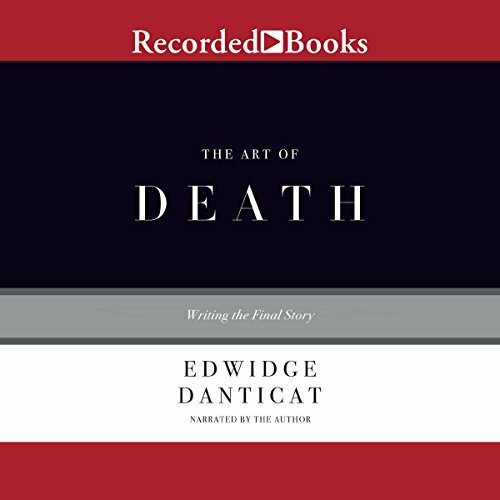 Edwidge Danticat's The Art of Death: Writing the Final Story is at once a personal account of her mother dying from cancer and a deeply considered reckoning with the ways that other writers have approached death in their own work. "Writing has been the primary way I have tried to make sense of my losses," Danticat notes in her introduction. "I have been writing about death for as long as I have been writing." The audiobook moves outward from the shock of her mother's diagnosis and sifts through Danticat's writing life and personal history, all the while shifting fluidly from examples that range from Gabriel Garcia Marquez's One Hundred Years of Solitude to Toni Morrison's Sula. The narrative, which continually circles the many incarnations of death from individual to large-scale catastrophes, culminates in a beautiful, heartrending prayer in the voice of Danticat's mother. A moving tribute and a work of astute criticism, The Art of Death is an audiobook that will profoundly alter all who encounter it. You feel like Edwidge is talking to you. Her pain over her mother's death becomes your pain, as does her joy of loving her mother. Dandicat’s book gives insight into the process of living with and writing about death. She weaves her experience of her mother’s death into a tapestry of narratives about death and dying. Dandicat’s placement of her own mother alongside well known literary characters and lesser known victims of natural disasters, highlights the truth that in the end, we all die. The only downside to this recording is the poor editing. Not one of Edwidge's best books but good over all. I wouldn't read it again but enjoyed it when I did. This is the worse book I have ever tried to listen to. The author continually quoted from other books written by other authors. She shared little from her personal experience with Cancer and death.